1. Original Iqama (Resident ID) and its photocopy. 2. Get your blood group test report from any dispensary in Kingdom of Saudi Arabia (KSA). 3. 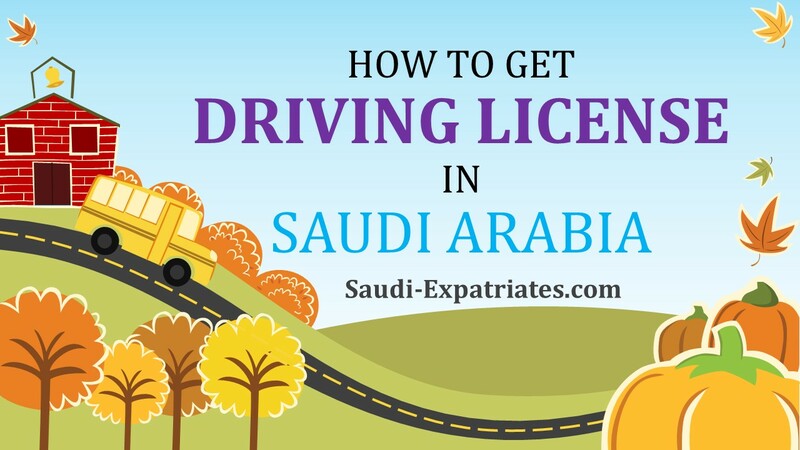 For Expatriates, Home country driving license translated to Arabic. It is easier to get driving license Saudi Arabia, if you have your home country license. 4. Four(4) Passport size photographs. 5. Photocopy of your passport including visa page. 6. Driving License Saudi Arabia paid fee receipt. - License fee should be paid through online banking SADAD system or through ATM banking. SAR 400/- for 10 years, SAR 200/- for 5 years, SAR 80/- for 2 years. Printed copy or receipt of payment should provide as document. - Once you get all the above documents, Go to Dallah driving school Ksa before 7am in the morning. - Near entrance gate few persons will approach you to take driving license payment for 430 SAR or above. As you already paid fee do not turn to them. - Some agents will offer you for creation of file for 15 to 20 SAR enclosed with filled application form in Arabic for you, you can take it. - Go to Eye sight test section in Dallah driving school Ksa, once eye tested, He will stamp your application and send you to "License Check" counter. He will also stamp your application and send you for "First trial". - One Saudi person will be sitting in a car and he will ask you to drive a little ahead, reverse, left, right, start and stop. It is better if you know this words in Arabic. He may ask you to show your resident iqama id. - If successful, He will give you grade "1" Alif, it means you are ready for final test, Otherwise you have to attend classes or you need to make new file after 2-3 days. - Deposit SAR 100/- Now he will take your file and ask you to attend a 3 hour class in which they will teach basics, listen carefully and then he will allow you to take Saudi driving school computer test. 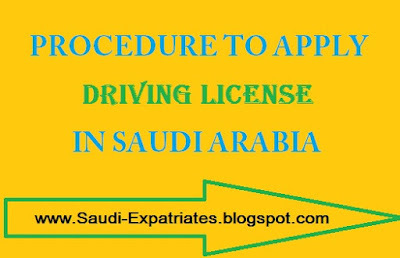 - Once you clear Saudi driving school computer test, There will be driving test again "final trial", If you clear "final trial", You need to submit documents in computer room and you will get your driving license within few minutes. - If you fail in "final trial", you will get next date for test. For one file you will get 3 test dates, If you failed in 3 tests, you need to start the whole process again.